This 3/4 yd. 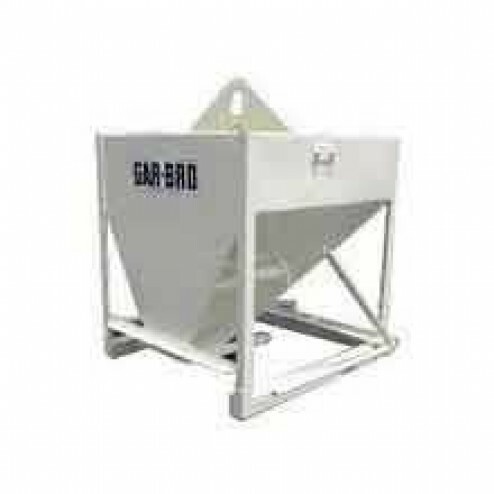 Bond Beam Steel Concrete Bucket 4820 Gar-Bro concrete bucket is specifically designed for challenging concrete pours and has a rated capacity of 3/4 cu. yds. and a level capacity of 20-7/10 cu. ft.
All high grade steel construction and components mean this Gar-Bro Manufacturing 4820 3/4 yd. Bond Beam Concrete Bucket will last for years of reliable use. Great for pouring pillars, columns, walls and difficult to access areas. Rated Capacity: 3/4 cu. yds. Level Capacity: 20-7/10 cu. ft.